The Catalan political leaders in jail are ready to defend the ‘legitimacy’ of the 1 October 2017 independence referendum and will not hide the fact that it was they who organised it. That is what the former ministers Oriol Junqueras and Raül Romeva said in an interview with the Catalan newspaper Nació Digital from the prison where they are waiting for their trial. One of the arguments they say they will use in their defense is that calling referendums was decriminalized in Spain in 2005. Former foreign minister Romeva said that they will cite the two Quebec independence referendums and the Canadian Supreme Court reaction as an example. In the interview, Romeva also claimed that the prosecuted politicians will highlight that the real crime is prohibiting such a vote. The leaders will also argue that the solution to the Catalonia–Spain crisis should come from politics and not the courts. ‘Jailing us will not only fail to make the problem disappear, but with our appearances before the court we will put a focus on the conflict that is necessary,’ said Romeva. Junqueras, the former Catalan vice president, said in another interview, with Italian newspaper La Stampa that he expects he will ‘probably’ be sentenced to prison, but that it won’t make him give up his desire for independence. 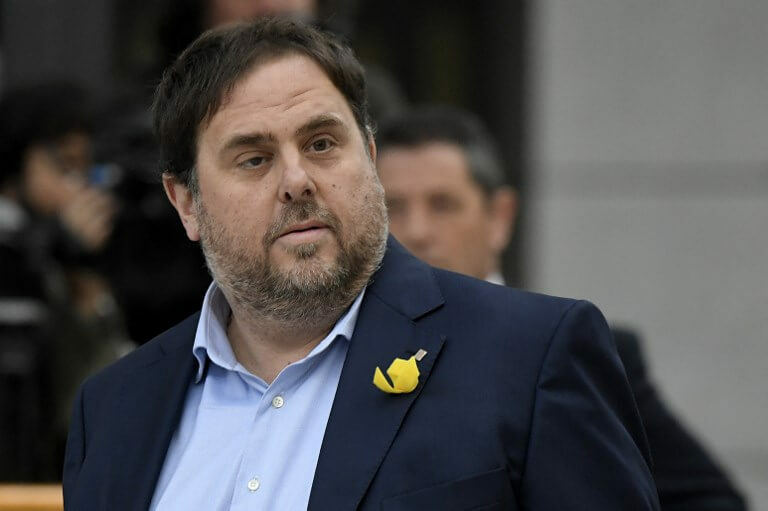 The public prosecutor requested a total of 177 years in jail for pro-independence leaders, with a single prison sentence of 25 years for ex-vice president Oriol Junqueras. The sensitive trial is likely to start at the end of January or early February – more than a year after Catalan leaders in the northeastern region attempted to break away from Spain in October 2017 by staging the referendum despite a court ban.